Gnocchi is not something I’ve really tried very much. I’ve never made them from scratch myself but my old flatmate attempted it once and we ended up with a kitchen full of soggy greyish dough mush and takeaway pizza for dinner instead. So I figured before I try it myself I ought to get to grips with ways of cooking the ready made stuff first. Traditionally gnocchi are boiled for a few minutes and are treated in a similar way to pasta and served with some kind of sauce. However I’ve discovered a different way, courtesy of Nigella, that I absolutely love. 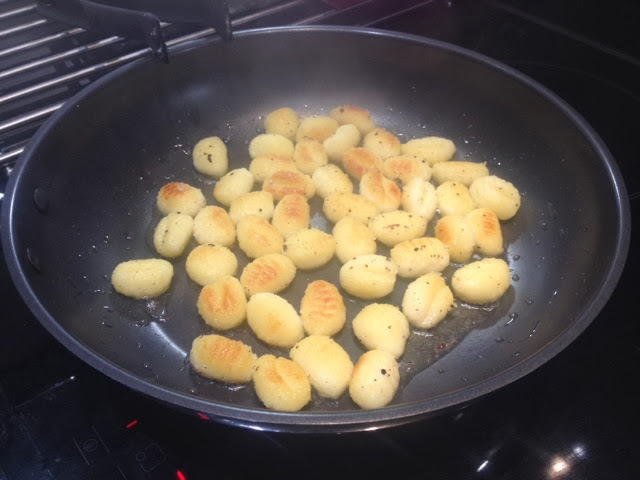 Pan fried in a little oil and well seasoned gnocchi are an absolute treat. 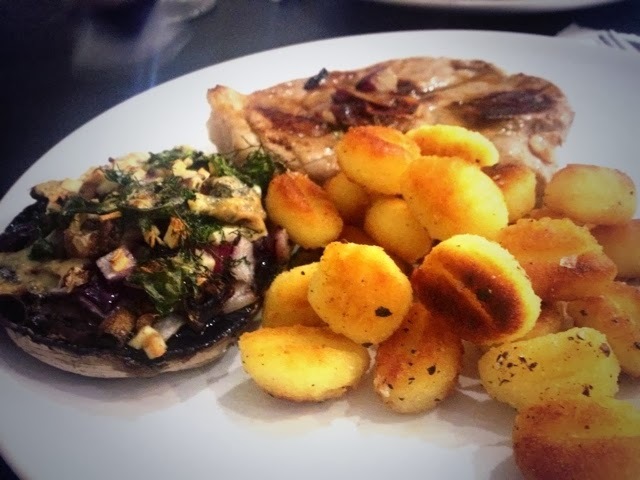 The gnocchi crisp up on the outside giving them a little crunch and are almost like little mini roast potatoes. They only take a few minutes so are a quick, easy and really tasty way to do sort of roast potatoes. I’d strongly recommend you give it a try. Served here with lamb steaks and Blue Cheese Stuffed Mushrooms. Nigella’s recipe is available here.